I don’t usually buy asparagus. Why? I’m the only one who likes it. In fact, my hubby has a thing about green vegetables….he doesn’t like them…at all…he can barely look at green vegetables, let alone eat them. The only two green vegetables my hubby will eat are broccoli and celery. All the other green vegetables from Artichokes to Okra he won’t touch. But I wasn’t going to pass up fresh, picked asparagus. Never, Ever! When shopping for asparagus, look for stems that are plum and straight. Check the stems if they are dry, split or look ‘woody’, the asparagus is older. 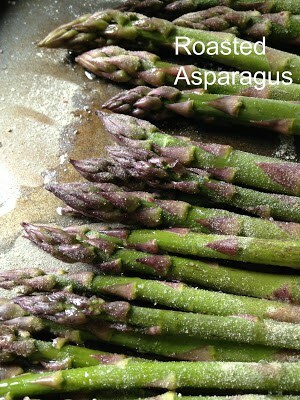 Thin spears are more tender and sweet, while fatter stems have a meatier texture and have a stronger asparagus flavor. It’s a personal choice which you prefer. I like them both. 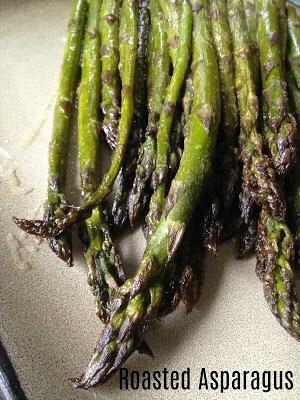 Hold the bunch of asparagus together and trim an inch off the ends of the asparagus. 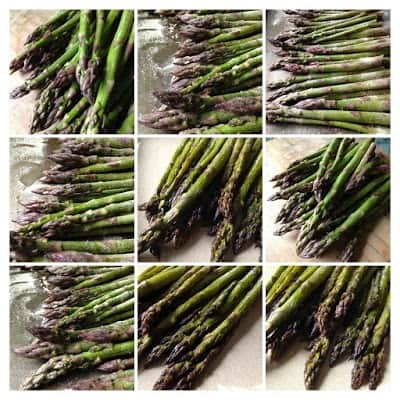 Stand the asparagus up in a glass or glass jar and add about an inch or two of water. Make sure the ends are sitting in water. 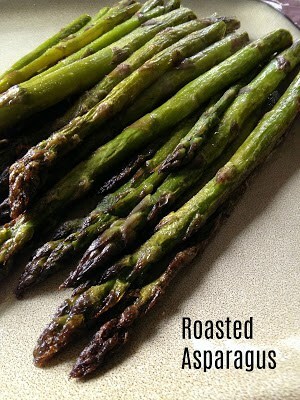 Loosely cover the asparagus with a plastic bag and store in the refrigerator for up to a week. Change the water if it becomes cloudy. I use this same method with fresh parsley, flat-leaf parsley, cilantro and green onions. Rinse the spears under cool water to remove any dirt. Snap off the bottom inch using your fingers. The spears will naturally break where the tough woody part ends, and the tender stem begins. Dry the spears by rolling then gently between kitchen towels. You can peel away any tough outer skins with a vegetable peeler if you feel it’s necessary. 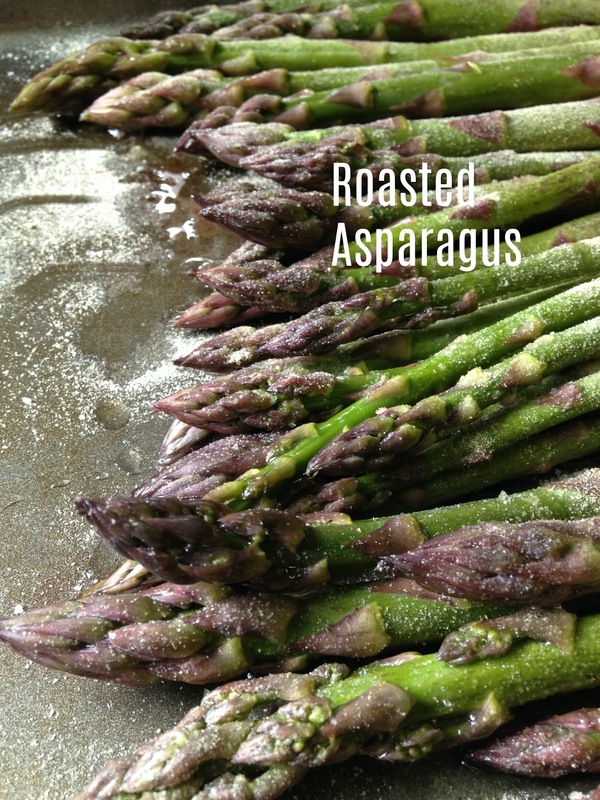 Arrange asparagus spears, in a single layer on a large baking sheet, drizzle with olive oil. Toss lightly to coat. Drizzle with balsamic vinegar. Sprinkle asparagus spears with minced garlic, sea salt, and pepper. Bake in preheated oven just until tender, 15 to 20 minutes depending on thickness. Remove from and oven, sprinkle with Parmesan cheese and lemon zest just before serving. Now on to the second recipe. It’s super simple and super delicious. 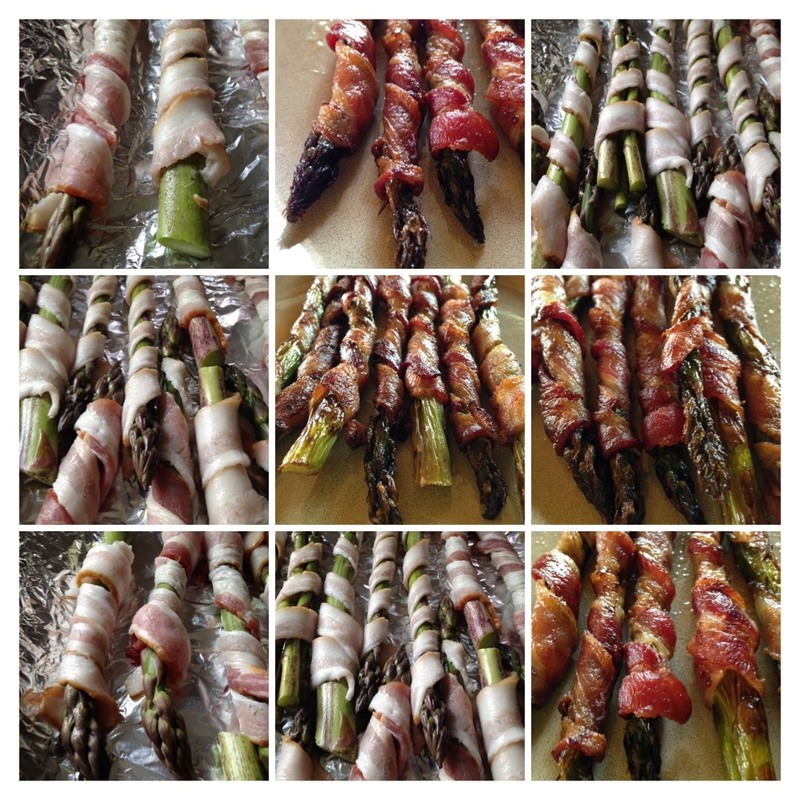 Take some bacon and wrap it around asparagus spears. Roast in the oven, done! I mean really, who doesn’t like bacon! You can wrap bacon around anything and it’ll taste good. Wash asparagus and pat dry. Trim off spear end by at least 1 to 2 inches. 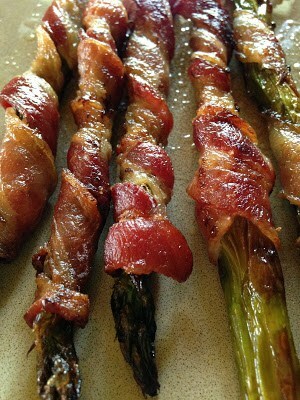 Wrap the bacon around the asparagus and place on a foil lined baking sheet. Place the baking sheet in the oven and bake for 20 to 25 minutes or until the bacon is crisp and asparagus is tender, drain a few minutes on paper towels. *Kitchen scissors work great for this step.